‘My original idea had been to design a few fabrics. Diana (a family friend) said: “Are you sure, because clothes would be much more fun”. Encouraged by her mentor, she had 20 dresses run up by her dressmaker, and moved – with her second husband, Renaldo Herrera, and their daughters – to New York, although they’ve shuttled back and forth ever since. ‘At first they thought I was a dilettante and I’d be gone in three seasons.’ And here she still is. 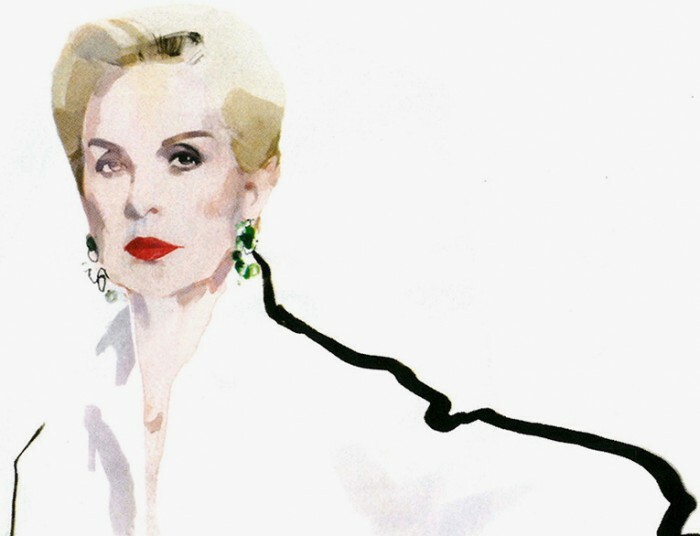 What’s more, Carolina Herrera (pictured here in a wonderful illustration by David Downton) has since received countless honours from the industry – including the CFDA Womenswear Designer of the Year and an honorary Doctorate of Fine Arts from the Fashion Institute of Technology in 2012. 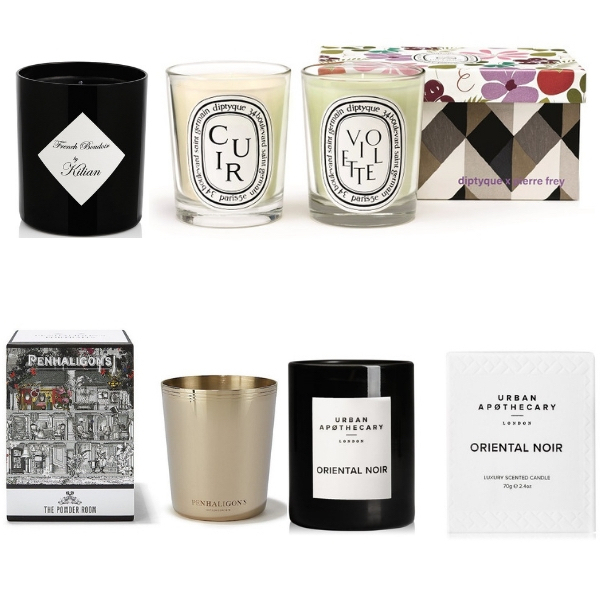 Carolina Herrera could equally have been talking about her fragrances, there: a hugely successful portfolio of scents loved by all ages. Her debut signature scent launched in 1988, with a men’s scent in 1991. And in 1996, it was the turn of another Carolina Herrera – the designer’s daughter – to step into the picture: Carolina Herrera de Báez joined as Creative Director at the fragrance house. She grew up in La Vega, the Herrera family estate built in 1590 just outside Caracas. Originally, Carolina Jr. wanted to become a doctor, studying sciences at Vassar. When she realised lab work wasn’t her thing, Carolina spent several years in the film and audiovisual industries. She also opened a boutique showcasing clothing from new designers, and launched her own line of jewellery which she made by hand herself. And so 212 was born. 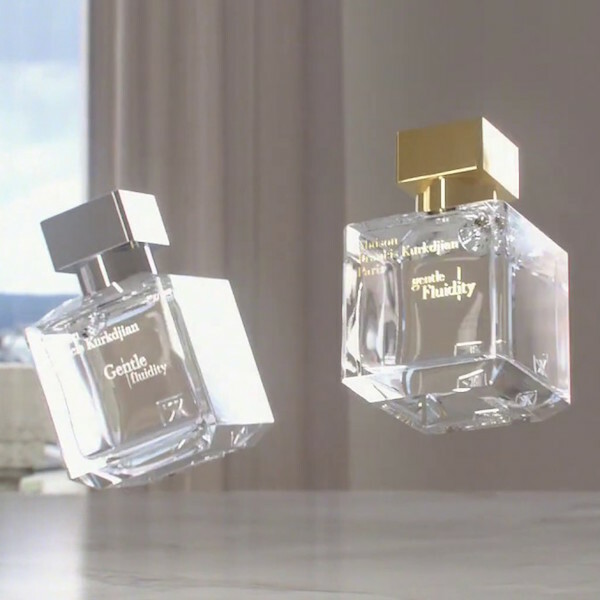 The first fragrance was launched in 1997 and has enjoyed massive global success. Many perfumed ‘plays’ on 212 have since been released, often as seasonal editions, to be quickly snapped up by fans and new ‘converts’. Carolina Jr. has now been the force behind almost a dozen 212 and Carolina Herrera launches. She clearly loves creating alongside her mother: ‘It’s really easy to work with her. We don’t have exactly the same taste in everything, but we’re not opposites, either. We complement each other very well.’ Click here for a wonderful interview with the two Carolina Herreras about the 25th anniversary of the launch of the jasmine-rich debut signature fragrance. And really, do mother-and-daughter stories come any more beautiful than this?